Frank Virga joined Embrace in June 2014 as a Senior Loan Officer at our Hauppauge, Long Island office. He plays a significant role in lending to the tri-state area, and his strong presence in the industry is backed by consistent exchanges with referral partners and an extensive list of satisfied clientele. Frank spends much of his free time leading Homebuyer seminars and Realtor® events to maintain his knowledge of the ever-changing industry. He was named among the Top 50 Social Survey customer feedback winners, and he has consistently been a part of Embrace’s Presidents Club since joining us. 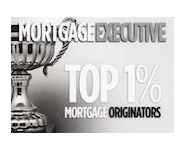 In 2015, 2016, 2017, and 2018 he was recognized within the industry as one of the top 1% Loan Originators in Mortgage Executive Magazine. Frank is a strong believer in building relationships that last a lifetime. He takes great pride in going the extra mile in order to help customers find the solutions needed to become homeowners while helping them save money. He enjoys sharing his knowledge of the mortgage industry with every customer, as well as helping them make informed decisions about their futures. Frank grew up in Commack, NY but currently resides in Smithtown, New York with his beautiful wife, Eva and two amazing sons. Frank values quality time with his family and friends, and enjoys playing softball and fly fishing. Working with Frank was the easiest part of buying a home. He swooped in last minute and saved us from months of back and forth emails, phone calls and insane amounts of stress. I can't wait for the next person I know to look to buy a home so that we can recommend Frank and his incredible team! Frank was always available when we needed him. The whole process scared me and I am one who asks a lot of questions. At no time did I get the feeling he was tired of them. He genuinely seemed happy to help me. I will refer him to all friends and family. I have had a number of transactions with Frank and his team. Everything always goes smoothly and closings are stress free. Very professional and knowledgeable, I would highly recommend Frank for mortgage services! Frank and his team go above and beyond of what is expected. Extremely knowledgeable, passion to help others and is just a great person to deal with. Wish many others were like him and his team in any industry. He’s awesome! !